It is always important to wash your throw pillows with or without removable cover every now and then, especially if they are placed on regularly used furniture. It only takes a matter of time to see a white pillow change color due to a fast collection of dirt. To maintain good health, clean your pillows often. There are different ways to clean these pillows depending on what type of fabric your pillows are made of as well as the fillings. For instance, a throw pillow made of delicate material such as silk or wool should be dry washed unlike the one made of cotton. Outlined is an ultimate guide on how to wash throw pillows with or without removable cover. From our survey, Most of the pillow user is worried about how they will wash the pillow.I hope, after reading the article, ‍You will do it very easily. Pillows collect dirt very fast, especially if placed on regularly used furniture. They are like a magnet. Drool, sweat, dead skin cells, oil, dust, dust mites droppings among other things are some of the main causes of dirt in pillows. Accumulation of dust mites droppings, molds, and dust causes an allergic reaction such as sneezing, rhinitis, or wheezing to the users. In a worst-case scenario, a dirty pillow can cause an asthma reaction. On the other hand, drool, sweat and oil cause bad odor as well as a change of color on the pillow. All these causes pose as a danger to one’s health if the pillows are not cleaned regularly. After months of using your decorative pillows without washing, they will become heavy not to mention gross. To avoid bringing health havoc to your family, clean your pillows after every three months. If the pillows are covered then wash the covers after every three weeks. There are various ways to clean these pillows. Therefore, the items required to wash it will differ with each cleaning method as follows. Mee Mee baby laundry detergent is also useful for your throw pillow. It has no harsh chemical and artificial color.So, your pillow fibers do not get damaged during washing. for . Additionally, it is antibacterial quality remove the bacterial effects from your pillow. Washing machine or front loading washing machine. 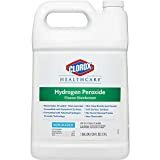 Do not worry, although Clorox Healthcare Hydrogen Peroxide Cleaner Disinfectant Refill is used for disinfection, surface cleaning, sanitation etc, It is also good for removing stain from throw pillows. The washing method of throw pillows depend on the type of fabric and fillings. There are foam fillings and fiber fillings. If the pillow is made of silk or wool fabric or fiber fillings, it will require machine washing method. However, if the fabric is cotton, polyester or foam fillings then you can hand-wash. Therefore, it is important to check the care label on the throw pillow before dipping it in water. Here is a step-by-step washing procedure using different types of washing methods. Remove the throw pillow covers if there is any. Wash the covers separately from the pillows if they are not machine-washable. If you want to wash these pillows without remove the cover, you have to start from the 2nd steps mentioned below. Mix warm water with a mild detergent and fill the front loading washing machine with the mixture. Submerge two fiber filled throw pillows on the washing machine and let it wash for eight to ten minutes. Change the machine to the rinse cycle and use warm water to rinse the pillows. Ensure to rinse the pillows three times to get rid of all detergent residues from the pillows. Change the machine to dry cycle and let the throw pillows dry on low heat. Allow the pillows to dry for two to three hours or until the fillings are completely dry. Remember to fluff the pillows after every 30 minutes during the dry cycle to avoid the fillings from clumping. Air-dry the pillow covers if they are not machine washable, if not tumble-dry them. Remove the covers from the throw pillows if any and wash them separately. Hand washing method is suitable for the polyester throw pillows. This method is also suitable for Cotton or foam filled throw pillows. If you do not want to remove the cover, you may start from the next steps written below. But It is difficult to wash these pillows by hand without removing the cover. Use a large basin or a sink and fill it with warm water. Mix the water with mild detergent and tangle it with your hand. Submerge the foam filled throw pillows in the water and squeeze it so that the water can work inside the pillows. Repeat the process several times until you are sure the dirt is off. Drain the soapy water and fill the sink with clean warm water. Submerge the pillows again and squeeze them to get rid of the detergent residues. Repeat the process two more times to ensure the pillows are clean and detergent free. Squeeze off the water from the pillows by placing each between two clean towels to remove the water. Never squeeze a throw pillow on a tight knot. It will only spoil it. Dissolve a mild detergent in a bowl of warm water. Dip a clean rag in the mixture and squeeze off the water completely. Blot the soiled areas of the feather filled throw pillows until all the dirt is off. Rinse the rag with clean water and blot the areas again. Repeat the process twice or three times until you get rid of the detergent. Air-dry the throw pillows or the pillowcases. Mix a small amount of dish-washing soap and hydrogen peroxide in a spray bottle. Shake the bottle well. Spray the mixture on the stained spot and let it sit for a few minutes and then wash the throw pillows either using machine or hand wash method. If the throw pillows require hand wash method, soak the pillows in a mixture of hydrogen peroxide and vinegar for a few minutes. Continue washing these pillows using a hand-washing procedure. Ensure you rinse thoroughly to get rid of the vinegar smell from the pillows. As you clean everything in your home, always remember your throw pillows. 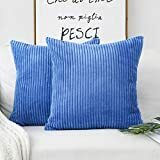 With the above guidelines, you will be able to clean your pillows effectively, after carefully discerning the material and fillings used to make the throw pillow.